This week Tromsø has been in focus in the Arctic: on Monday Tromsø’s role in hosting the Arctic Council was formalized and the whole week has been marked by the circumpolar and international Arctic conference: Arctic Frontiers. The city has been visited by ministers from Norway, Sweden and Canada, politicians from the EU, Iceland, Russia, Alaska and Greenland, and ambassadors and diplomats, the U.S., China and South Korea. Interest in the Arctic is increasing. Foreign Minister Espen Barth Eide said Monday that he is open to all countries that wish to be granted observer status in the Arctic Council. – It is better that they join our club, than that they form their own. It was interesting to hear China’s ambassador that defined China as a near-Arctic country, he pointed out that parts of China is located at 50 degrees north (corresponding to Luxembourg and the Czech Republic), and that they therefore have natural interests in the Arctic. How is the city of Tromsø prepared for its new international status? Nations will probably want to establish a diplomatic presence in Tromsø in greater extent, the same goes for international companies that want to be near the administration that facilitates policy development for a very large and attractive geographic area. Airport with good regular connection to Oslo and thus the rest of the world. Flights to Stockholm, London and Murmansk also helps. A more and more extroverted Tromsø University seeking collaboration with industry and society at large. 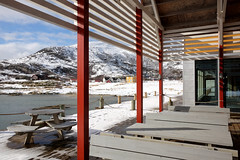 A large established international environment, thanks to the University of Tromsø, the University Hospital UNN, research organizations such as the Fram Centre, Norut and AkvaplanNiva, space industry and culture industry with TIFF and Hålogaland Theatre as examples. 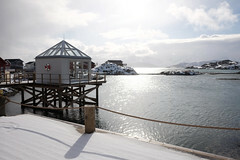 The city is historically internationally oriented and has had a long-standing feature of European outpost in the north. Nicknamed the Paris of the North has its merits – and the city also houses the office of the world’s northernmost Catholic bishop. Indigenous expertise is good and in development. 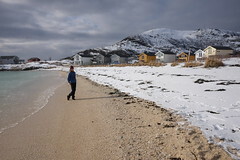 The Sami community in Tromsø is large and significant – and have high competence in other Arctic indigenous peoples situation. The airport is undersized in terms of terminal buildings and runway. The road system in the city has reached its capacity limit in major highway intersections. The bridge connections to Kvaløya has reached its capacity limit. The main road E8 still goes by the same route as in the 50’s for about 15 km through Ramfjord. There is no clarity on how the road system in the city will be developed to provide a capacity that the city already requires, the community is thus already about 10 years late in their preparations. The city transit system has challenges with regularity and accessibility in the winter months, so bad that the media today warns that the road authorities are considering driving ban for city buses. The bus lanes are not sufficiently developed, it means that the bus is in the same line as the car in the main transport hubs. More and more people bikes and walk to and from work all year round, but the arrangements have several important missing links. The housing stock is out of balance, the city has a great shortage of apartments and townhouses with 3 to 4 bedrooms. This will put limits on the ability to attract new businesses. After this week’s positive events is overdue time for taking action to give the city a necessary efficient, modern and environmentally sound urban development. The main responsibility is with the City council, a council that according to the week’s polls have as high adherence of the population that they should feel that they have a mandate to implement a relatively large campaign to develop the city to a true capital status.